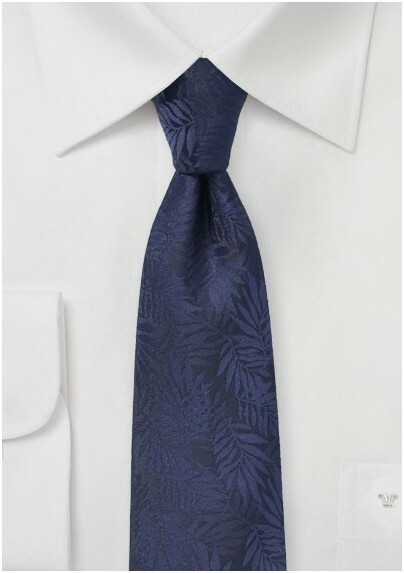 Menswear brand PUCCINI surprised us with this striking new tropical leaf design. 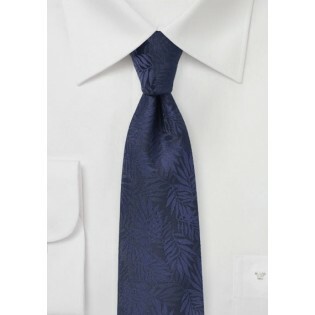 The dark navy blue color paired with this unusual pattern creates a nice balance of formal and fun. Pair with any tan or gray suit for best looks. This collection also comes in a light pool blue, rich burgundy red, formal light silver, as well as festive light ivory. Made by hand using woven microfiber fabrics.